Show off your soccer player with this terrific customizable wall decal! This high quality, self-adhesive, waterproof vinyl decal can be applied to any clean, smooth, flat surface; the adhesive will not harm your paint when removed. 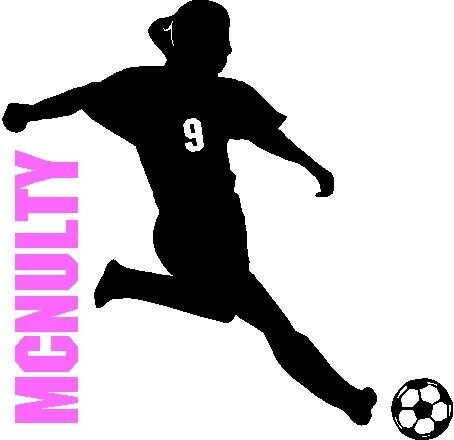 When you order, you customize the decal with the player's name and number, as well as your preferred accent color. Decal is approximately 23 by 22 inches; letters in the name are 3 inches tall.